When you hear the name Bali, all you can picture is those fantastic and beautiful beaches surrounded by the best of landscapes and temples around the island. But Bali is not only popular for the beautiful beaches and wonderful landscapes, the island is also filled with delicious and mouth watering traditional food. We have made a list of traditional Balinese breakfast food which you can try before the start of your exploration throughout the region. Nasi goreng is perhaps one of the main dishes for breakfast in Bali. This breakfast can be said to be the breakfast that defines Balinese’s entire cuisines and is also one of the most favorites throughout Indonesia. 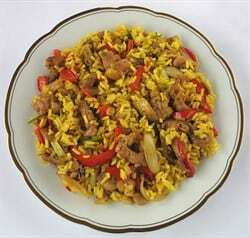 Nasi goreng is also has been voted as the second most delicious food in the whole world by CNN in 2011. This breakfast dish is one of the simplest food but also incredibly delicious. As a result of the simplicity, it can be easily combined or be made with other ingredients, even the simplest ingredients ever. Nasi goreng can be also be said as one of many strong contenders for the position of Indonesia’s national food, either for breakfast, lunch or dinner. The reason for it is because it is in the simplest form. To make nasi goreng you just need to stir-fried normal white rice, it is usually being mixed with a range of different spices and other ingredients, such as garlic, tamarind, chili and sweet soy sauce which is the reason of its unique and delicious flavour. There are many variations of nasi goreng, though most of the time it is being combined or served with egg, as well as other meats, other vegetables and sometimes even with seafood. Nasi goreng can be found throughout the region of the entire Bali area, visitors who are coming to Bali will not be struggling to find a good portion of nasi goreng. Nasi goreng is also not an expensive food, it is one of many reasons by it is widely known for its accessibility across all levels of social class. The simplest nasi goreng can be found served on tin plates from roadside vendors in the day light or night time to the most expensive, civilized and five stars restaurants or hotels throughout Bali. Nasi goreng can be also be consumed at any time of the day, be it breakfast, lunch or dinner, though most people will consume it for breakfast to give them the energy to help them accomplish their activities for the rest of the day. Another popular choice for traditional breakfast in Bali is the one of the most popular Balinese cuisine, the gado-gado. Gado gado is a widely variegated dish that is served throughout Indonesia, not just Bali and can work as both the main event of a meal, as the individual meal for breakfast or as an accompanying side for lunch or dinner. Gado – gado is a pretty popular dish in the entire Bali region and there it can be found at various stalls, from the road side vendors to the high class and knowns restaurants and hotels in Bali and it is so simple that you can even prepare it by yourself. To make gado gado by yourself all you need is just the dried mix of gado gado which can be easily found in many shops in Bali, various of your favorite vegetables, and the mix it all together by adding water. To be simply put gado-gado is a vegetable salad with a peanut sauce as the dressing. Though there are many variations in each of the regions in Bali. One of the most significant of gado gado dish is whether or not the vegetables raw or cooked, and both versions can be widely consumed without any side effects. The only difference from this dish is the amount of the sauce or dressing is being used as the sauce should be able to thoroughly cover all the mixed vegetables and not to just act like the western salad dressing. You can consume gado gado by adding a boiled egg or a popular local snack, called emping. Another famous and delicious food in Balinese culinary culture is satay, which is called as sate by the locals. This dish is not only popular in Bali, but also in Indonesia and in the entire Southeast Asian countries. 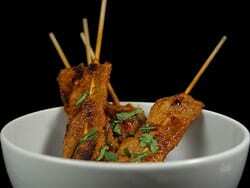 Satay also has many parallels or almost the same alike food in other nations, such as Turkish kebab or South African sosatie. However, satay is original from Indonesia and its origins is still in Indonesia, therefore the most authentic taste of the widely popular and spread satay can be found in Indonesia, especially in Bali. Satay is made from meats after the meats being flavored with spices then be put in the skewers. This meat is later grilled or barbecued and then served with a number of other additional servings options. The skewer is being made from the midrib of the coconut palm frond or from bamboo and how the meat is placed is varied widely. Most meat being used are chicken, pork, mutton, and beef. It is being placed as one the piece from those meats then another piece of different meats or just the same meat being placed on the top of another. Sometimes, the meat can also be combined with various vegetables or fruits, such paprika or pineapple. Just like gado – gado the uniqueness of this dish lie in the sauce, usually, it’s the spicy peanut sauce being used. Satay can be eaten just like or to be combined rice cakes or mixed slivers of cucumber and onion. Satay is also one of the most popular dishes which can be found in the entire region of Bali from the street vendors who to the five star hotels and restaurants. Though there is no need to have an exact celebrations or festivals to find this food, satay is designed to be the easy to eat and on the go food. Bubur Sumsum is very easy to make, all you need is a mixture of white and black glutinous rice, flavored with coconut milk, sweetened milk or cream, palm sugar and a local flavors leaves, called pandan leaves. Bubur sumsum is served hot and like syrup or soupy kind and sweet in taste. For the extra flavor, bubur sumsum is topped with more coconut cream. The uniqueness of this Balinese traditional Balinese breakfast food is the black glutinous rice, which is not widely available in the western countries, making it a rare and also exclusive breakfast which is a must try to have whenever you are visiting Bali. One of Bali’s most popular traditional breakfast food is called as martabak. What makes this dishes unique is because it is available in both as sweet and savory. The method of cooking this traditional breakfast food is very varied depending on the ingredients used. Martabak can be made using various types of meats, though generally chicken and egg are being used. For sweet it is usually used the chocolate sauce and sweetened milk. Bubur Ayam (Chicken Porridge) : It contains rice which already cooked with huge amount of water so it has a soft and watery structured. Served with slices of chicken meat, spices seasoning, salt and sweet soy sauce, pepper, salt, cakwe, fried peanut and so on. Bubur Kacang Ijo (Mung beans Porridge) : Mung beans which cooked with water and Brown sugar as well as pandan leaves. added coconut milk when it ready to be served. Fried banana with a cup of coffee : Kalimantan Banana also become favourite breakfast of Bali people. They usually eat fried banana when still warm along with a cup of coffee. It gains stamina and make your body more fresh. Mie Instan (Noodle) : Indonesian noodle chosen as the delicious food to consume in every time at a day. That’s why many Balinese people choose noodle as their breakfast. Banana and Black Rice pudding with coconut Milk : This food also give you sweet and crunchy taste at same time once you craving it to your mouth. Moreover, coconut milk make you feeling fresh and ready to do activities in a whole day. Banana Pancakes : Banana known as fruit with high carbohydrate. Along with flour in pancakes, it makes you stomach full and keep you healthy too. Nasi Ayam (Chicken Rice) : It can be one of your choice if you can not found chicken porridge around you. Also easy to make. you can blend rice with slice of chicken meat, added fried egg, slice of celery. Then mix it until it mixed well. Nasi Campur (Mix rice): Apart of chicken rice, mix rice is contains more vegetables on it.You can blend brown and black rice, celery, chopped carrot, green peas and beans. Mixed it well. Lontong (Spicy rice cake) : Lontong is one of traditional Indonesian street food from Indonesia. It made from rice wrapped in banana leaf. Then steamed it over boiling water for several hours, until it became sticky. best served with chicken and goat meat curry, as well as satay. Wajik (Glutinous Sticky Rice) : It made from glutinous rice then cooked it with coconut milk, as well as sugar then boil it. Usually, it uses brown sugar (Javanese sugar). Boil it until the sugar changes the color from brown to dark brown. After boil it, shaped it into shape you want. As the conclusion, there are many Balinese cuisines that you can enjoy while visiting Bali. These traditional cuisines of Bali are not only reserved from breakfast but also for lunch and dinner. 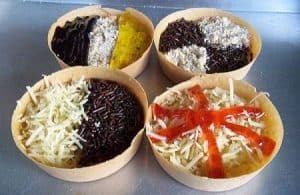 There are also many varieties of cuisine you can try while in Bali whether you like sweet or savory, meat or vegetarian, high dining or quick on the go food, it all available in Bali. These fifteen lists of traditional Balinese cuisine is just a simple starter and you can find much more while in Bali which can make your visit even more memorable.